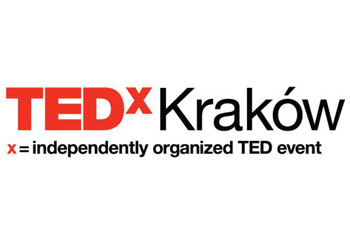 On July 13 2011, TEDxKrakówLive will host a live simulcast of the TEDGlobal 2011 conference “The Stuff of Life” taking place in Edinburgh, Scotland. TEDGlobal 2011 simulcast events are TEDxLive events built around the live webcast of the TEDGlobal 2011 conference. Every year, TEDGlobal brings together outstanding thinkers and doers from across the globe to share ideas worth spreading. TEDxKrakówLive will start at 9am and finish at 8pm and will feature live speakers from Krakow and special activities during the breaks. Cracowians can watch it live at Gazeta Cafe, ul. Bracka 14. This will be the first time that TEDGlobal can be viewed in real-time in Poland. Harvard historian Niall Ferguson, who investigates not only what happened but why. His books chronicle a wide range of political and socio-economic events; he has written about everything from German politics during the era of inflation to a financial history of the world. He’s now working on a biography of former US Secretary of State Henry Kissinger. Social media expert Pamela Meyer, who thinks we’re facing a pandemic of deception and wants to arm people with the tools that can help them take back the truth. Pamela Meyer can tell when you’re lying. If it’s not your words that give you away, it’s your posture, eyes, breathing rate, fidgets, and a host of other indicators. Ben Goldacre, who writes “Bad Science” and unpicks dodgy scientific claims made by scaremongering journalists, dubious government reports, evil pharmaceutical corporations, PR companies and quacks.